“Throughout history, art has been used to raise awareness about social issues and affect positive change. 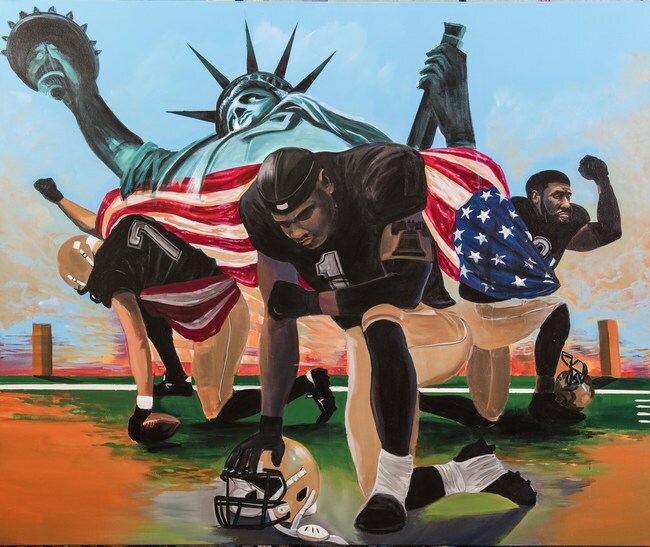 We are honored to unveil ‘Last Man Standing’ and support the ACLU and BMe Community as we continue to support the #BankBlack and #BuyBlack Movement and advocate for social justice,” says Teri Williams, President & COO of OneUnited Bank. OneUnited Bank will make a $25,000 minimum contribution to each organization. For more information on how to participate in the Take a Knee Campaign visit www.oneunited.com/takeaknee.